Nicole graduated from the University of Nevada Reno before beginning her career in education. Her experience is working with students and educators within the GEAR UP program for the University of Nevada Las Vegas. She enjoyed working with teachers so much she joined the team at UEN. Her Bachelors degree is in Criminal Justice, but she currently aspires to join the U in obtaining her Masters degree. Rob specializes in multimedia projects and resources for the classroom. He focuses on how teachers can effectively use video, images, and other media to teach their students, and also how to get students creating exciting media of their own such as educational computer games, animations, mashups, comics, zooming presentations, infographics, and much more. Rob also teaches courses that help teachers learn the basics of computer usage. Previously Rob taught Spanish and language arts in Granite School District. His Bachelors degree is in Spanish education with an English minor, and he also holds a Masters in Instructional Design and Educational Technology from the University of Utah. Jared Covili specializes in teaching strategies for classroom integration of technology such as Google tools, geospatial learning, social media, and digital devices. Jared's background is in secondary education where he was a Language Arts teacher at the secondary level. Jared received his Bachelors degree in English and his Masters degree in Instructional Design and Educational Technology from the University of Utah. Besides his work at UEN, Jared is also an adjunct faculty member of the College of Education at the University of Utah, where he teaches technology integration classes to undergraduate students. Jared served as the president of Utah Coalition for Educational Technology for 2011-2012 and currently serves on the UCET board, moderating #UTedChat and organizing Edcamp Utah. Jared is the author of Going Google and Classroom in the Cloud. Jared Fawson is a senior technology trainer at the Utah Education Network. Jared teaches, guides, consults, and helps educators of any level effectively use technology in the classroom. Creating meaningful and engaging professional learning experiences that can be applied directly into the classroom are Jared's focus as he develops courses and presentations for UEN. He has used his expertise to present at many schools and districts across the state of Utah. Prior to his work at the Utah Education Network, Jared was an award-winning teacher in the Davis and Granite School Districts where he taught just about every subject at the junior high level. Jared earned his Social Science Composite Teaching degree and Masters of Instructional Design and Educational Technology from the University of Utah. When it comes to free time Jared enjoys exploring the world with family, nature on his mountain bike, and trying to hit a small white ball as far as he can with an instrument ill-suited for such a purpose. Jami Gardner specializes in helping teachers effectively use the UtahFutures.org website. 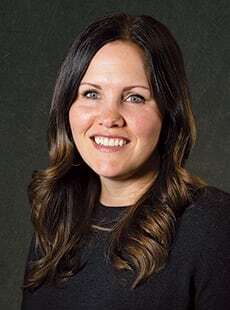 She has a Bachelor's degree in Marketing from Southern Utah University and was a Business and Financial Literacy teacher for three years serving at-risk students. Prior to teaching Jami was the Marketing Director for one of the largest credit unions in Utah and also ran her own online business. Michael Hakkarinen specializes in helping teachers engage students in the classroom with technology such as Mac Tools, Google Apps for Educators, iPads and more. 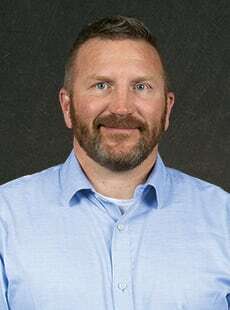 He earned a Bachelor’s in English from the University of Maryland at College Park and a Master’s in Elementary Education at Mount Saint Mary’s University, where he also taught Instructional Technology at the undergraduate and graduate levels. He was a Technology Resource Teacher in Frederick County, Maryland, where he taught elementary school, and an EdTech for Canyons School District in Utah before joining the UEN PD team in 2014. He currently serves as an elected member of the UCET Board. Shannon specializes in classroom implementation of Chromebooks. 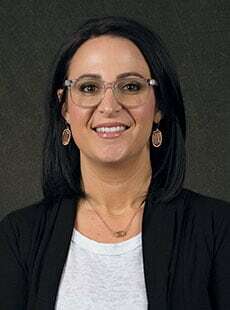 She has a Bachelor's in Elementary Education and a Master's in Instructional Design and Education Technology.​ She most recently worked at Granite School District as a technology specialist and taught fifth grade for five years in Granite and Wasatch districts. Shannon is passionate about engaging students through technology and helping them develop critical thinking and problem solving skills through learning computer coding. Dani Sloan is a technology specialist with expertise in using social media in the classroom. 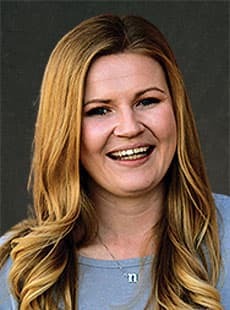 She has a Bachelor’s in Elementary Education and a Master’s in Instructional Design and Educational Psychology from the University of Utah, where she is currently an Adjunct Instructor teaching technology integration to educators. Dani was a member of the organizing committee for Utah’s first EdCamp and is enthusiastic about sharing new online tools, using iPads and Chromebooks in classrooms, and learning to unplug at home.